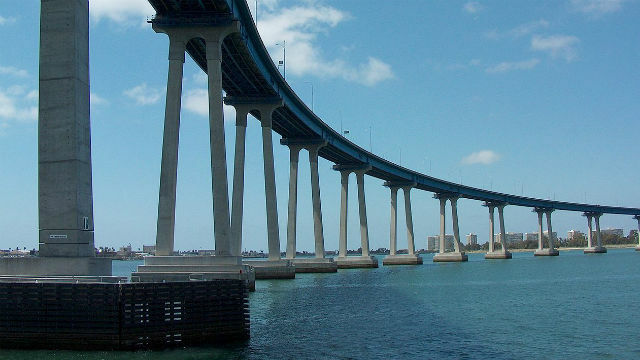 A man survived jumping off the San Diego-Coronado Bay Bridge Monday and was taken to UC San Diego Medical Center, according to a San Diego Harbor Police official. Shortly after 2 p.m., the man drove his vehicle to piling 21 on the bridge, and then jumped off, falling about 200 feet, said Lt. Dominick Boccia. Boccia said no details were immediately available on the man’s medical condition or his identity.